This weekend, it’s time to spring forward with your clocks. We offer suggestions for some other spring safety chores to put on your weekend home maintenance list, too! In the Fall, there’s a collective groan when we set our clocks back and the world gets darker, but most people welcome gaining that hour of daylight back in the Spring – it’s a harbinger of better weather, more sunlight and greenery and leaving winter behind. But what we gain in daylight we lose in sleep and even though it’s only one hour, the change can have bigger impact on us that we would think on first glance. The one-hour loss of sleep can wreak havoc with out body clocks. 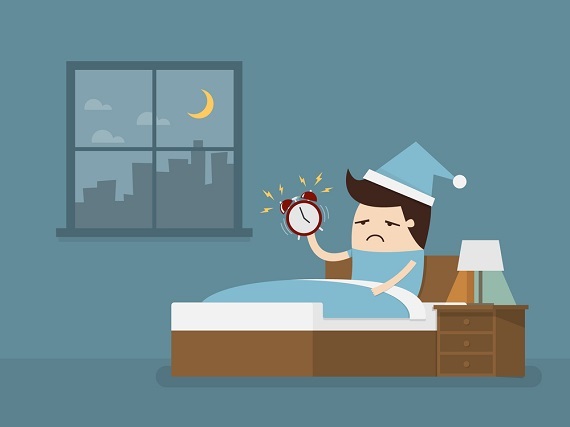 Some studies even say that the time change is killing us – incidents of heart attacks, strokes, and fatal car accidents all spike around the start of daylight-saving time each year. Employers have long noted that right after the time change, there is also a jump in on-the-job injuries and accidents. Yikes. If it is so risky, why do we keep doing it? We’ve been observing Daylight Savings since 1918, but there is a lot of controversy about whether it is something we should continue observing. John Oliver has an amusing segment on how this ritual started. Have a fireplace? Time to clean that chimney! What’s better on a chill winter night than a crackling fire in the fireplace? But if you have a fireplace, it’s extremely important that you conduct ongoing maintenance — and it’s a good time to do that now, before the winter chill sets in and the fireplace starts getting a lot of use. Chimney fires account for 75% of home heating fires, according to experts, and almost all chimney fires are preventable with regular upkeep and maintenance to ensure proper venting and to address any buildup of creosote. It’s a frightening experience to have a chimney fire and even if it does not spread to other parts of the house – which it can easily do – it can be an expensive and unnerving event. Property Casualty 360 offers 10 tips to prevent chimney fires. If you’re experienced at do-it-yourself home maintenance, you might want to tackle the project yourself. This infographic from The Fix shows you how. While the weather may still feel like summer, the chill of winter is just a few short months away. It’s time to think about winterizing your home. Getting your home ready for winter will not only keep you warmer but also put money in your pocket. The routine maintenance that makes your home cozier in the cold pays off year-round by boosting your home’s energy efficiency. Start at your furnace. When was the last time you had it inspected? Some state utilities offer free yearly furnace check-ups. A well-maintained furnace will run more efficiently, pump out cleaner air, and save you money on heating oil or electricity. Change or clean your furnace filters regularly. Disposable furnace filters are less efficient, but much more affordable, than new permanent electrostatic filters. Your budget and your furnace’s life-cycle are your best guides here on what to use. Clean the ductwork. With the furnace taken care of, turn to your ductwork and vents. Keeping this system sealed and insulated in a big money-saver. Check for cracks and leaks in every part of the system. Patch and fill any gaps, especially in the common places where leaks tend to form, like connections at vents and registers. This is a great time to reassess the insulation in attics, too. Does your home have a fireplace? They’re so cozy on a snowy winter night! But they aren’t exactly efficient. A wood-burning fireplace is lovely, but an energy-efficient wood stove or a gas fireplace insert might make more sense. In any case, keep your chimney clean! A sooty chimney is a common cause of house fires and easily avoided with preventive maintenance. If your fireplace isn’t used often, install glass doors and keep the flue shut – don’t let all that expensive warm air whoosh right up your chimney! Check the plumbing. Now that you’ve seen to the furnace, ventilation system, and fireplace, turn to the plumbing. It’s easy to winterize your pipes – make sure they’re well-insulated with foam wrap or heating tape. Flush water from lawn sprinkler systems with compressed air. Turn off your water at the main and turn on all your outside faucets, allowing any water that has pooled in your pipes to drain. This will prevent expensive damage from frozen pipes. This is also a great time to address those annoying drips and leaks. A roll of Teflon tape and a pipe wrench will save you hundreds of dollars down the line. Doors & windows. Congratulations! Now you’ve done the hard stuff! On to the detail work. Check your doors and windows, replacing weather stripping and caulking leaks as needed. A good tight seal keeps warm air in and cold air out. Consider upgrading to storm doors and better-insulating windows. If you have a gap beneath a door too wide to close with weather-stripping, simply rolling up a thick towel and wedging it in the gap will help keep the warm air where you want it. Plastic sheeting and sealing tape can be a great and inexpensive way to cover larger leaks until a permanent solution can be put in place. One more thing: Next, turn down your thermostat and your hot water heater. You’ll never notice the few degrees difference, but your utility bills will sure reflect your thriftiness. Winter, as they say, is coming. So take some preventative steps to stay warm, pocket the savings, grab a hot beverage, and then… maybe put on a sweater. 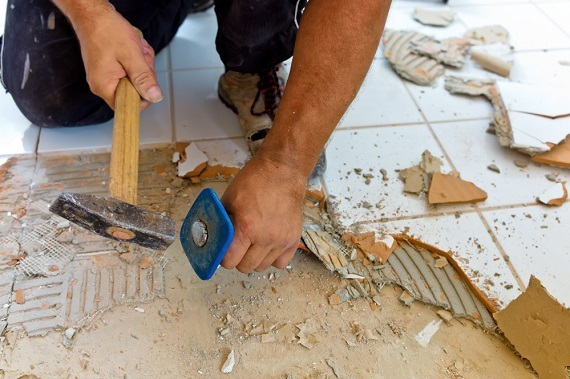 Hiring a home contractor to repair or renovate your property can be frustrating, time-consuming, and confusing. It’s easy to make costly mistakes. While it’s easy to call the contractor with the most eye-catching advertisement, it’s hard to know if you’re getting your money’s worth. The best way to make sure you’re getting quality work done is to treat the hiring process as seriously as the job itself. Take your time, be methodical, and work your plan. Here are some tips. Ask around. Do you have friends or neighbors who’ve recently hired home contractors? Seek their input. Get quotes. Obtain at least three written estimates for any job. It takes time, but it pays off. Remember that the lowest bid isn’t always the best bid. Paying a little more for careful work work with quality materials pays off in the long run. Check references. Make sure you’re hiring a reputable home contractor. Ask to see licenses, proof of insurance, and proof of bond. Cross-reference with the Better Business Bureau to make sure the home contractor you hire is on the level. Ask questions. How long has the contractor been in business? Can they show you pictures of completed projects similar to yours? What permits are required to do your project? What types of insurance does the contractor carry? Will they need to hire subcontractors, and if so, what’s that process look like? Get a written contract. This is so important. It may require an attorney’s assistance on large or particularly detailed projects. A written contract sets expectations and gets everyone on the same page, working toward well-defined goals. Bring your insurance agent into the loop. She can help you figure out how the repair or renovation will impact your existing coverage, and make recommendations to limit your liability going forward. Take a look at these great suggestions to use as a guideline for planning your insurance needs when home remodeling. As you can see, there’s a lot of homework that goes into finding the right home contractor for your next big project. But putting in your due diligence and taking the time and effort to be methodical and aware of detail will help your job go smoothly and get you a quality outcome at a price you can afford. For more detailed information about hiring a contractor, check out the FTC’s advice on hiring a contractor. 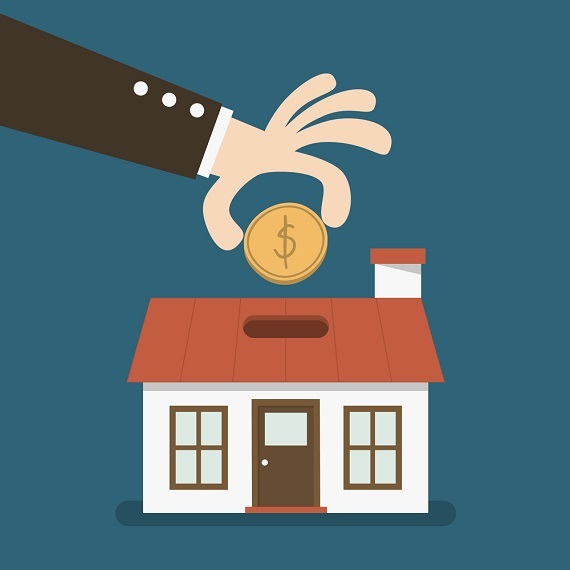 If you are a new homeowner, your financial lender will likely require you to carry homeowners insurance, which is designed to protect your property from loss related to a wide range of unplanned or accidental perils. Take the time to understand what is covered and what is excluded because there are some disaster-related exclusions unless you have additional coverage – the Insurance Information Institute has a a handy guide to coverage by policy type—and what’s not typically covered. Step one in maintaining your property is having the right tools. While you may want to hire someone for the big jobs, there are a lot of little day-to-day repairs or chores that you can handle yourself if you have the right kit. Building a good tool kit usually happens over time because it can be costly, but you should start out with some essentials. We like this infographic about building a tool kit from The Fix. It offers a three-tier plan for essential tools, tools that you may want to add in for do-it-yourself projects and tools for advanced repairs. 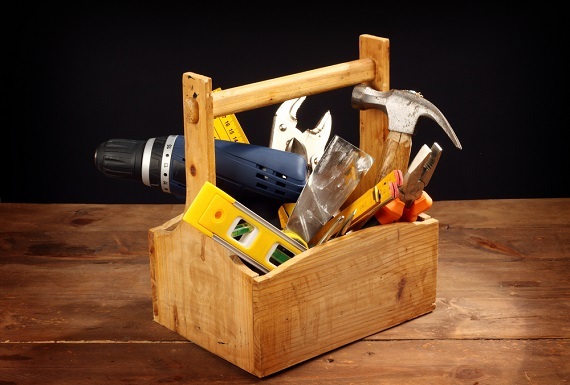 It also offers tips for tool storage and organization in the related article: Basic DIY Home-Repair Tool Kit.